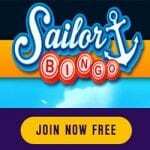 Sailor Bingo Review - £15 No Deposit Bonus upon Registration! Ahoy bingo lovers, we at Place a Bet Online are here to navigate you through a gaming site from the giants at Cozy Games. Sailor Bingo launched in 2016 and provides an appropriately nautical theme, with some very hunky seaman. Although the site is called Sailor Bingo, you’ll find so much more on here. Yes there’s the usual 30 ball, 50 ball, 75 ball, 80 ball and 90 ball bingo, but you’ll also find casino, tournament, scratch cards and slots. With such an incredible range available, it’s a wonder how we’ll find the time to play top video slots such as Honey Bees and Fish Toons. Sailor Bingo completely understand, so they offer a number of games on your mobile devices meaning you can play whenever you like. We recommend checking that your device is compatible with the site, but they accept iPhone, Windows, Blackberry, Android and tablet devices. •	Pay by mobile banking using Boku. 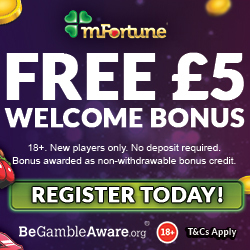 Once you cast off and register on this seafaring site, then you’ll discover that Sailor Bingo will give you a £15 no deposit bonus. This is the ideal way to find your sea legs and try out a few games, to make sure this is the right site for you. 3rd deposit, 300% cash match bonus on £10. So simply for depositing a total of £30 over the three deposits, you’ll end up with £115 to play with! After you’ve made your 1st deposit, you’ll win £1 cash daily for the next seven days simply by logging in. There’s also exclusive entry into their daily games, so who knows what you could end up winning. 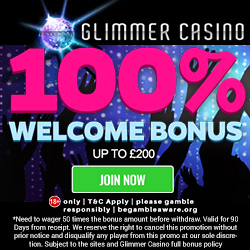 Sailor Bingo offer a number of regular promotions and there are themed ones which change on a monthly basis. All you have to do is head over to the promotions tab and check them out; these include Session Bingo, Bingo Xtravaganza and Jackpot Special. There’s no better feeling than discovering a new bingo site and sharing it with your friends. Tell your fellow roomies about Sailor Bingo and not only will they enjoy the registration and deposit bonuses, but you’ll receive a £10 Amazon voucher (terms and conditions apply). Every time you deposit on Sailor Bingo you’ll enjoy their reload bonus. The amount you receive depends on how much credit you add and whether you claim it as a bonus deal or cash deal. Likewise the cash back bonus requires a minimum £25 deposit and could see you receiving up to 20% automatically back into your account. When you buy your bingo tickets or spin those reels, you’re not only enjoying the thrill of a possible jackpot you’re also earning loyalty points. As those points accrue you’ll be able to redeem them for additional gaming credit, which means that even if you’re having an unlucky week you’re still a winner. If you ever require additional support from a site representative, then you can contact them via email, telephone, by raising a ticket or through their live chat option. They are available 24/7 and aim to respond within a reasonable time scale, but we always recommend checking out the FAQ section first. Sailor Bingo accept the usual banking methods including Credit and Debit Cards, Skrill, Neteller, Paysafe Card and pay by mobile through Boku. If you’ve yet to discover the joy of charging credit to your mobile phone bill, then let us tell you a bit more. When you register and confirm your banking method, should you choose pay by mobile then you’ll be taken through to the Boku site. They will require your 11 digit mobile number and verification of your acceptance to use this method, via SMS. No bank details need to be provided as they’re held by the mobile phone company and you pay off the bill when you pay your mobile phone bill. Boku tend to limit the amount you can charge to begin with, but this increases over time. 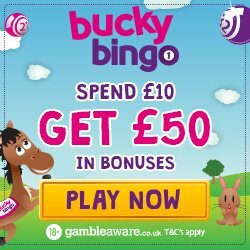 So if you’re ready to jump ship because you’re sick of our nautical puns, then head over to Sailor Bingo and grab that £15 no deposit bonus.